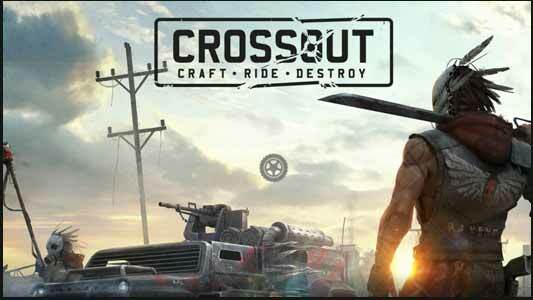 All you really need to know about Crossout is that it's a lot of fun and it's free. There you go, review done. There's no point in me waffling on about its many plus points, you can experience these yourself and make up your own mind and it won't cost you a penny - unless you want to buy the various DLCs that give you specially designed vehicles and ingame credits. But, because I've been locked in a room for several weeks playing this game, I suppose I better bore you with my thoughts on it. 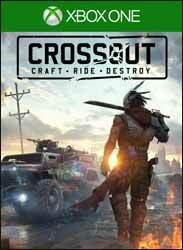 Think World of Tanks but with vehicles from a post apocalyptic world - ala a Mad Max movie - and you'll get some idea of what Crossout has in store for you. There are a number of factions in the game. You start as a member of the Engineers but as you progress through the game you can join other groups including the Lunatics, Nomads, Scavengers and Steppenwolfs. The Engineers are neutral - they just want to help their fellow man. Each faction comes with its own rewards and benefits which will give you a competitive edge in battle against others. There's a bit of a learning curve with the game, but to start with you can just roll out your first vehicle into a battle to experience how they work. After a few games you will have found new items (hopefully including more powerful weapons) and then you can enter the garage to add these. On first attempt the customisation element is a bit of a headache and there's no real tutorial on how to remove and replace parts of your vehicle. My advice is wait until later in the game. One of the annoying aspects here is the inability to switch the Y-axis on the camera. While you can change this ingame, you don't appear to be able to change if for use in the garage. This took a little getting used to. Also you may need to alter the control sensitivity as I found myself accidentally whizzing all over the garage with an accidental push of the analogue sticks. 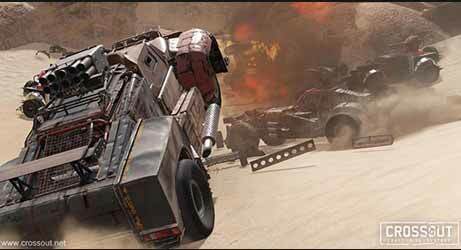 The vehicles are totally customisable. You can find, or buy, various components to equip in the garage. All will have an effect on your vehicle's performance, handling, strength and fire power. The parts are available in five ranks from the base class to the relic - the higher the rank the more effective that part is. If you can't find a part or purchase it, with currency you've acquired in the game, via the online shop, then you can craft parts with various bits you've collected. And this helps add another element of fun for those gamers that love spending hours getting their vehicles just right. When you're happy with your vehicle you can take it out for a quick test drive (just to make sure it performs as expected ) before entering into one of the many online battles. These come in a number of variants. First up are ‘Missions’ these put you in a team of eight players as you battle against another team of eight players. 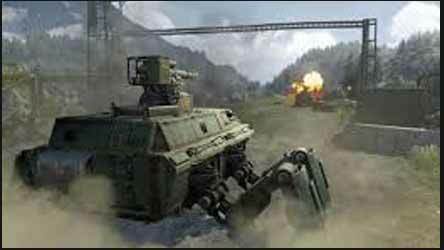 The winning team is the one which destroys the other sides vehicles, or captures their base. The teams are well matched and even if a full 16 players can't be found the game adds in AI players to make the sides up. These Missions also allow you the ability to find rare items and, more importantly, weapons. There are a handful of PvE raids where you team up with three other players to complete raids including dropped cargo, destroying towers, or battle boss vehicles and their gangs. Or you can compete in races against other players (but be warned, until you upgrade your vehicle you're going to be limping in in last place). 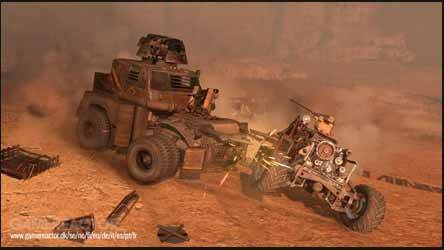 - Unique vehicles, crafted by the players using a wide range of available parts: From nimble buggies to heavily tracked off-road vehicles or combat platforms on antigrav fields. - Complete freedom of creativity and thousands of possible combinations: Create vehicles of any shape using dozens of parts, wide variety of armour and weapons as well as support systems. 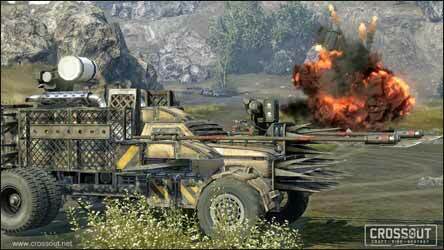 - Advanced damage model: Destroy any part of an enemy machine and it will affect the vehicle's performance immediately. - Huge arsenal of weapons: From chain saws, power-drills over machine guns to rocket launchers, flying drones and stealth generators. - Your own workshop: Create new, advanced parts and auction them at the in-game marketplace. - Trading options between players: Every piece that you have gathered in the battle can be sold to other players. - Choose your own battle strategy: The only thing that matters is the Survival and Victory! It's a fun, very addictive game that will burn up many of your precious hours. Oh, and did I mention that it was free to play?